WE are stumbling towards the semi finals of the Heineken Champions Cup as two of the teams left at this stage were beaten in their domestic leagues the week before their biggest fixtures of the current campaign: Leinster lost at home to Glasgow and Saracens were beaten by Bristol. Munster on the other hand had to dig deep but got an excellent bonus point win against Benetton Rugby Treviso to give themselves a confidence boost for Saturday’s semi final. Toulouse also won an epic encounter against Clermont 47-44 to stay eight points clear at the top of the French Top 14. Leinster are clear leaders of the GuinnessPRO14 in Conference B by sixteen points and Munster lie in second place in Conference A by three points. Saracens are a poor second in the Premiership, trailing Exeter by nine points. The week-end’s semi-finals of this Heineken European Champions Cup features the cream of the European clubs as befits this competition. The four remaining clubs have won the Heineken Cup twelve times between them in its 23 years existence. The semis are Leinster v Toulouse and Saracens v Munster, the two home teams 4/11 and 2/7 respectively in the match betting. while Munster is available at 13/5 and Toulouse at 29/10 in the other one. The two outsiders in the betting – Munster and Toulouse are the in form winning teams on current form and both performed very well in the quarter finals. On paper it looks closer than the betting suggests. Leinster is the home team at the Aviva Stadium where they beat Toulouse comfortably in January 29-13, having lost to Toulouse away. This was pre Six Nations and a lot has happened in the meantime with test match losses and injuries. It is now a cup match, winner takes all, as the pool stages are over. Leinster, the holders, and going for two in a row as befits a form team in this competition. Saracens did the double and Toulon did the treble before Leinster took over last year. In the last two games Leinster has a mixed bag of players from their squad, including academy players. We have not seen their cup team or even a semblance of it in the recent GuinnessPRO14 where they have established an unassailable lead in their conference. The coaches expect it all to be “ok on the day “with the A team selection, but it is not a theory I buy into and they will experience some technical difficulties on Sunday as a result. They may regret it. Toulouse are away from home, playing in Dublin and to start with, traditionally, this is a serious disadvantage for a French team. Even good French teams with international players, well travelled, do not appear to overcome this time difference of one hour and a flight of, at most, an hour and a half. Part of the explanation is that it is accepted in the Top 14 to lose the away games, but it is not acceptable to lose at home. Leinster’s opponents on Sunday have won four Heineken Cups (last one in 2010) under the great Guy Noves as coach so I am taking them very seriously in 2019. History does count. They have to be seriously respected in this tie for their experience and current position as the best team in France. Saracens are at home after demolishing Glasgow (Conference A leaders in the PRO14) in the quarter finals. They have not been as consistent this season (lost 5 games) in the Premiership but they will be contesting the playoffs as usual. Mark McCall’s teams are always well prepared and play to the Saracens tried and trusted plan in the other team’s half following accurate box kicking and clever kicks ahead. The boot of Owen Farrell does the rest with every opportunity to kick for goal being utilised. They are a very professional group, not to be under-rated by anyone. They take some beating in any competition and the Reds will have their hands full. So what about the Munster late charge this season with some terrific wins away already? They should not be daunted by being away to Sarries. They have good leaders in Peter O’Mahony and Conor Murray together with the in-form Keith Earls and have benefitted from the coaching of Johann van Graan. They are a winning team and that ticks one of my favourite boxes. It is scheduled for the Ricoh Stadium in Coventry on Saturday, it is Ireland v England, it is traditional, historical and it will attract a huge Irish attendance from the surrounding area in addition to the marvellous travelling Munster support. It is a 50/50 game in spite of the one sided betting offers. 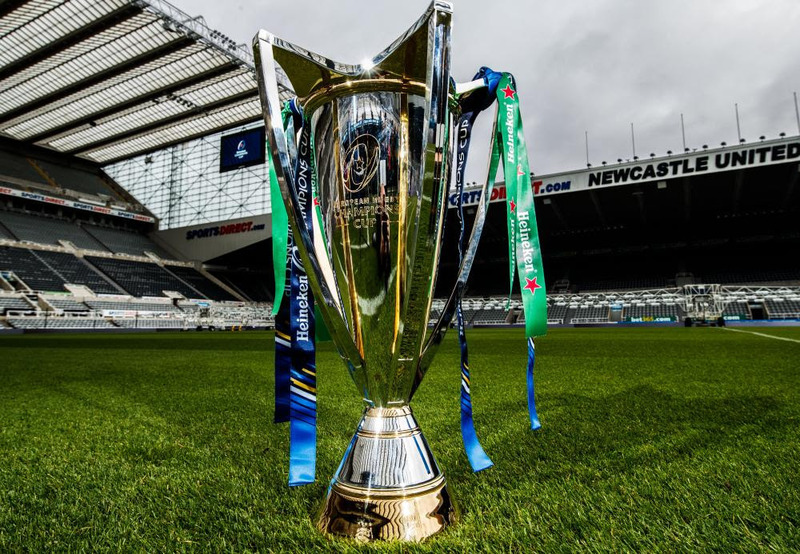 An all Ireland final of the Heineken Cup beckons at Newcastle in May? What a joy that would be!